The course is being offered by the e-learning platform UDemy, which hosts more than 42,000 online courses. 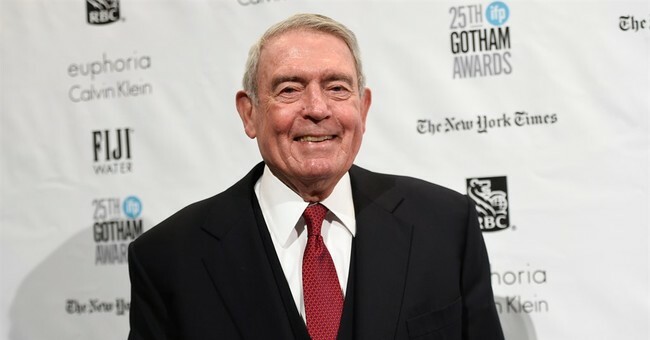 “Whether you’re an avid consumer of the news or just beginning your journalism career, renowned news anchor Dan Rather shares his first-hand experiences to guide you through the 21st century state of journalism,” the course description reads. It’s a tad ironic since Rather plunged his former network in a scandal regarding the authenticity of memos written by Lt. Col. Jerry B. Killian, former President George W. Bush’s squad commander in the Texas Air National Guard. The contents of these documents reportedly put the president’s service in a negative light, though experts disregarded them as fakes. This segment questioning Bush’s National Guard service aired during the 2004 election. CBS subsequently apologized for using them. Hot Air’s Allahpundit was part of the group of writers that initially questioned the veracity Killian documents. CBS News apologized Monday for a “mistake in judgment” in its story questioning President Bush’s National Guard service, claiming it was misled by the source of documents that several experts have dismissed as fakes. It also has become an issue in the presidential campaign. The White House said the affair raises questions about the connections between CBS’s source, retired Texas National Guard officer Bill Burkett, and Democrat John Kerry’s campaign. Rather joined CBS News President Andrew Heyward in issuing an apology Monday. Almost immediately after the story aired Sept. 8, document experts questioned memos purportedly written by Bush’s late squadron leader, Lt. Col. Jerry B. Killian, saying they appeared to have been created on a computer and not on the kind of typewriter in use during the 1970s. CBS strongly defended its story. It wasn’t until a week later — after Killian’s former secretary said she believed the memos were fake — that the news division admitted they were questionable. Burkett admitted this weekend to CBS that he lied about obtaining the documents from another former National Guard member, the network said. CBS hasn’t been able to conclusively tell how he got them, or even definitely tell whether they’re fakes or not. But the network has given up trying to defend them. The fallout was a disaster for CBS, who fired producer Mary Mapes and led to Rather’s retirement and departure from the network entirely soon afterwards.